my wife’s friend introduced this chicken rice shop to us. thanks to her for the recommendation. since chicken rice is one of my fav food, siap google jugak lah nak cari kat mane kedai nih. If you travel from KL through Jalan Gombak, you got to drive past Diamond Square and Pasar Besar Gombak, until you see a mosque on your left. Nasi Ayam Mancongkam restaurant is at the opposite of Masjid Jamek Sg Mulia, Gombak, KL. To be more accurate, it is right next to Restoran Haji Tapah. only 3 main menu serve in this restaurant. but always full house. yes. the menu very limited. 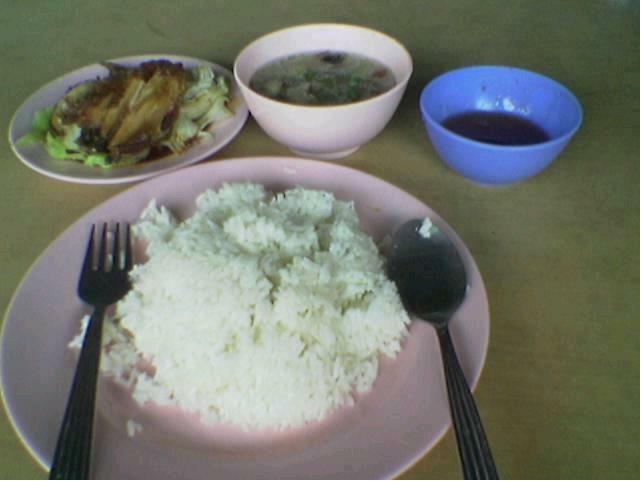 just around nasi ayam only..